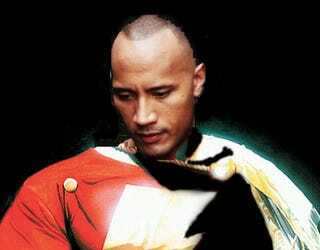 Dwayne "The Rock" Johnson let the fans dictate which role he should play in the upcoming Shazam movie, according to About.com. Johnson was trying to decide between playing Captain Marvel (the good guy) and Black Adam (the bad guy). Really, the only difference between the two is that Black Adam is evil. And an Arab. Johnson asked the fans, and guess who they wanted him to be? They clamored for him to play Black Adam, who's had a lot of play in DC Comics' 52. Johnson's decision to play Black Adam means scriptwriter John August has to revise the Shazam script to beef up Johnson's role. What's next? Fans doing costume design via webcam? It's yet another sign that Hollywood takes fan opinion way too seriously when it does cult (or sub-cult, in the case of Shazam) franchises. The result? Bland movies that leave their pulp roots visible. In the case of Shazam, the fan-chosen casting will actually mean a total rewrite of the film's script after the strike ends.